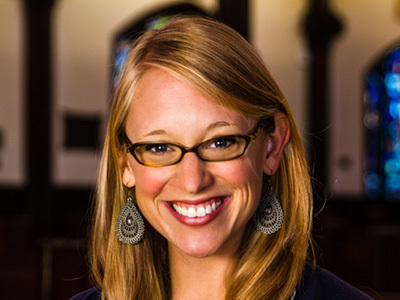 Ann Phelps has been working as a musician, teacher, public theologian, and arts activist since 2009 when she finished her graduate work at the Yale Institute of Sacred Music. Based in Jackson, Mississippi, she travels to work with colleges, divinity schools, and faith communities to envision how corporate rituals and collective creativity can empower communities to strive for justice and peace. Her research examines sacred music from various faith traditions, reengaging silenced voices from history and seeking new perspectives that can influence sacred practices in an increasingly divided and globalizing world. She serves as cantor, liturgical coordinator, and writer for the Theodicy Jazz Collective, an ensemble that has provided music leadership and theological reflection in communities such as Yale University, Cambridge University, Gustavus Adolphus College, Millsaps College, Canterbury Cathedral, Washington National Cathedral, and dioceses and churches from Los Angeles to London and Massachusetts to Mississippi. The collective explores how jazz and gospel music can help religious communities understand changing identities, expand tradition, and spread a message of justice and mercy in the twenty-first century. Ann will join the staff of Wake Forest University this summer as Director of Programming for Leadership and Character.